World chess champion, Gary Kasrprov’s defeat by IBM’s Deep Blue computer in 1997 was a landmark event for Artificial Intelligence and advanced technologies. Another such event was when Google’s Alpha-Go defeated the world’s best (arguably) professional board game ‘Go’- player Lee Sedol, in March 2016. Artificial intelligence (AI) is an area of computer science that emphasizes on the creation of intelligent machines which work and act like humans. It is segmented into 3 key categories – Assisted AI, Augmented Intelligence and Autonomous Intelligence. Assisted AI replaces many of the repetitive and standardized human tasks. For example, industrial robots tackling many manufacturing tasks. Augmented Intelligence is when humans and machines learn from each other, and redefine the breadth and depth of what they can do together. Autonomous Intelligence is when adaptive/continuous systems take over in some cases. They will do so only after the human decision maker starts trusting the machine (e.g., fully autonomous self-driving cars), or when the cycle time of decision making is so fast that having the human in the loop is a liability (e.g., automated trading). In this type of intelligence, the decision rights are with the machine and hence fundamentally different from assisted intelligence. Artificial intelligence (AI) has already transformed our lives — from autonomous cars on roads to robotic vacuums and smart thermostats at our homes. Over the next 15 years, AI technologies will be responsible for making inroads in nearly every area of our lives. AI is projected to have the greatest impact on transportation, healthcare, education, financial services, low-resource communities, public safety and security, employment and workplace, home/service robots, and entertainment. As per a statement by Hon’able Transport Minister Mr Nitin Gadhkari, India has shortage of 22,000 trained drivers annually; autonomous vehicles may fill this gap. A new urban setup requires intelligent self-driving cars and fewer cars on the city roads. However, this can only be possible in major cities with supporting infrastructure and policy framework. Healthcare industry is already overburdened with the exploding population and lack of trained doctors. The ratio of doctor to patients in India is 1:1700, far higher than the recommended ratio of 1:1000 by WHO. 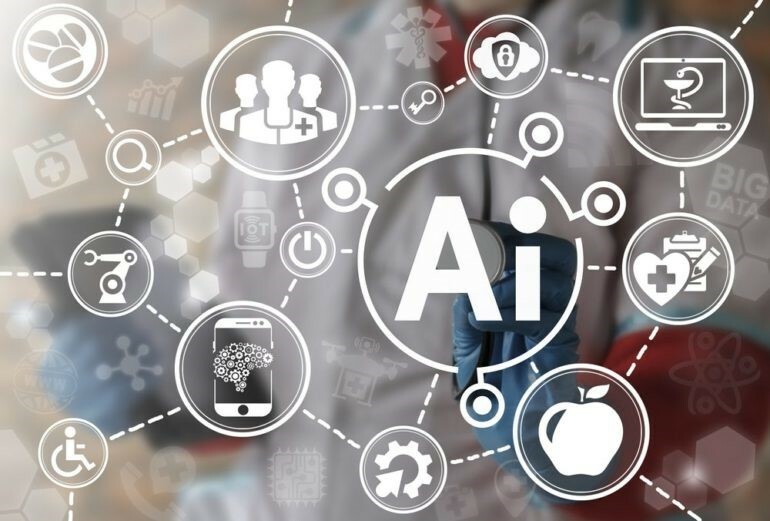 AI has supported healthcare through data collection from electronic health records, self-monitoring devices and apps, and robots assisting with medical procedures as well as hospital operations. AI-based apps can lead to advanced health outcomes and better quality of life for people in the future. AI based start ups such as SigTuple (utilizes AI to build artificially intelligent pathologist for medical diagnosis), Aindra (Cervical cancer detection), Touchkin (Predictive platform), Qure.Ai (Decision support) already exist. AI enabled interactive tutors have boosted learning at all levels by providing personalization and address individual learning needs of large size classrooms. Intelligent Tutoring Systems match learner and expert attributes by encoding instructional strategies, for teaching various disciplines. Ventures in education domain such as Embibe, use personalised data analytics to improve learning outcomes of students with different level of ability. Demonetization, UID and better internet services have resulted in multi fold increase of digital transactions in financial services. A PwC study states, there is already a good level of penetration of machine learning based decision making and support in financial services. Insurance leads the pack with 54% of its services being machine algorithm based, followed by banking & capital markets at 34% and asset/ wealth management at 26%. HDFC Bank is a leading user of AI applications, such as Eva – a website based customer service chatbot which offers efficient service. The scope ranges from principal banking functions to operational proficiency, analytics and employee training. Advanced analytics and algorithms are already in place for predicting fraudulent practices. The trend is definitely going to be a positive one. Gaining public trust is a challenge for AI use by Public Safety and Security professionals. By next decade improved surveillance through drones, algorithms to identify monetary fraud and predictive policing will be a reality. However, it requires well laid out procedures to protect civil liberties and avoid systematizing human bias. Well deployed AI tools can provide superior data transparency and inferences. Developments are already underway- Netradyne’s Driveri, a dominant camera, attached to a vehicle’s rear-view mirror (pointing towards the road), examines driving patterns and help define the cause of an accident. Artificial intelligence (AI) is finally bringing a multitude of capabilities such as processing natural language or visual information, to machines that were long thought to belong exclusively to the human realm. However, it raises concerns too. Bill Gates calls there might be an Apocalypse kind of situation. Elon Musk also warns of the misuse of technology. To benefit in the era of machines dominance, it is imperative to have an ethical and robust policy and framework.